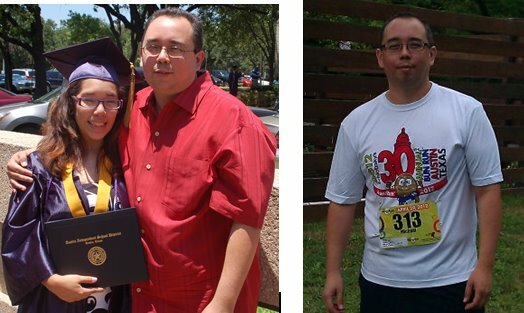 I have been focusing on improving my nutrition, working out, and jogging over the past few years. It is only recently that I have begun to see and feel the difference in my efforts. But I did not fully realize how far I have come in 3 years until I began going through some old pictures and came across how I used to look compared to now. Then I found this one. This picture says it all! Honestly, its tough for me to look at even now. I had given up! I gave up caring about myself, and taking comfort in food. It was easy to be lazy, and undisciplined. I loved my sinful nature more than I loved myself or God. I lost sight of who I was as a man, and husband. 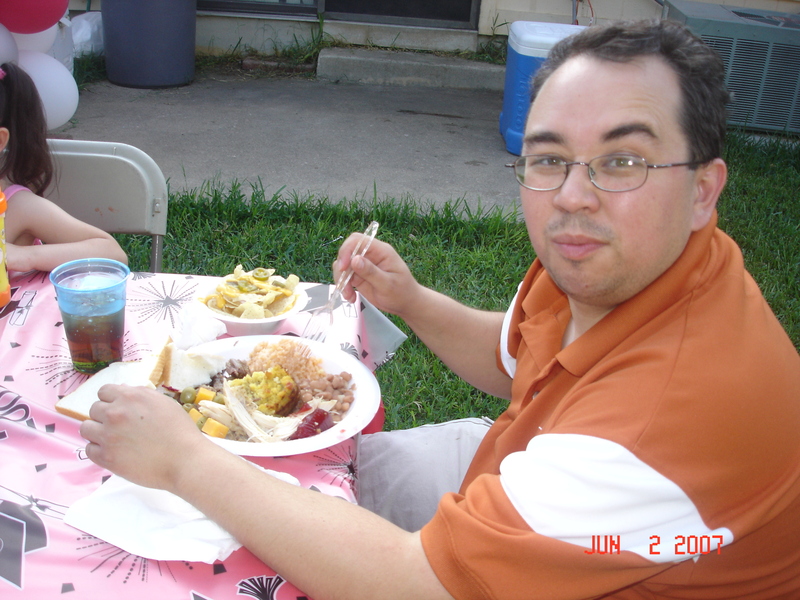 Over the course of 15 years I gained over 70 pounds. For a short guy this weight gain is tremendous! I let myself go! I would have never admitted it at the time but I realize now that I was truly unhappy for a long, long time. Maybe even miserable at times. Food was an escape. And though I professed to be a Christian during this time I am convinced that I truly did not know Jesus until some time later in life. My life was a reflection of the sin that was destroying it. My body, my marriage, and my family. I was not living…I was dying. So what’s changed for me? More than anything it’s Jesus. It is knowing that I am loved and accepted by my Savior. That He will always love me no matter what, and never forsake me. It is knowing that I have been given one life on this earth, and one body. It is wanting to glorify God by taking care of the temple that He chooses to place His Spirit in. It is knowing that I have battled weight, food, and laziness all of my life. I am determined to win this battle. I still have temptations but they are not as strong as they used to be. I would have never thought that I would look forward to the day when I would enjoy working out, protein shakes for lunch, and green juice drinks with kale. I know that I still have a ways to go. I am not where I want or need to be, but I am headed in the right direction.It is taking it one day at a time, and being intentional about my nutrition, exercise, and time with the Lord. It cannot not be for my glorify, but His. It is not by my effort but by His strength. I look forward to my progress, and I am excited about it. I hope that I can motivate and encourage others along the way so that they can meet their health and fitness goals. This is just the beginning! This entry was tagged health and fitness, overweight, temptation, weightloss, working out. Bookmark the permalink.